Many years of a useful life ended on Monday, March 11, 2019, when German “Malcolm” Davis was called from this earthly scene. It is God’s will that the laborer shall sleep. Let tired laborers be encouraged. There is time for rest. Brother German Davis was born on May 14, 1936 in Hampton County, South Carolina to the late Berry and Sadie Priester Davis. He was educated in the public schools of Hampton County. At an early age, Malcolm joined Samaritan Missionary Baptist Church, Varnville, SC. 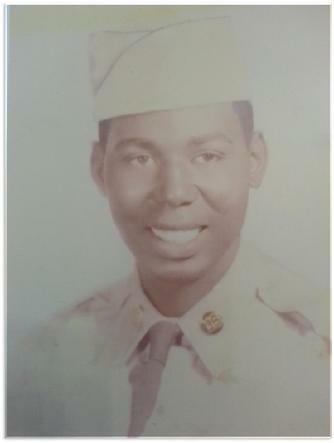 He enlisted in the United States Army in 1953. Preceding him in death in addition to his parents are seven siblings and one granddaughter, Jsymone Collins. He leaves to mourn his passing two daughters: Juanita Boles and Viola Collins, both of Varnville, SC; three sons: Douglas Collins (Demetria) of Augusta, Ga., Ricky and James Collins, both of Varnville, SC; twenty-one Grandchildren; two devoted grandsons reared in the home: Douglas Collins, Jr. and Hasoon Collins; four step children; a devoted lifelong companion, Ella B. Collins; one sister, Sadie L. Dunbar (Deacon Pernell) of Hampton, S. C; an adopted son, Richard Speaks; two sisters-in-law: Lillie Mae Davis of Brooklyn, NY and Minnie Davis of Tallahassee, Fla; Special friends: Deacon Phillip Strother, Deacon Thomas Rodd, Haiston Green and Norman Jackson; Two devoted cousins: Adam Major and Earl Robinson, Sr.; Other cousins and friends.